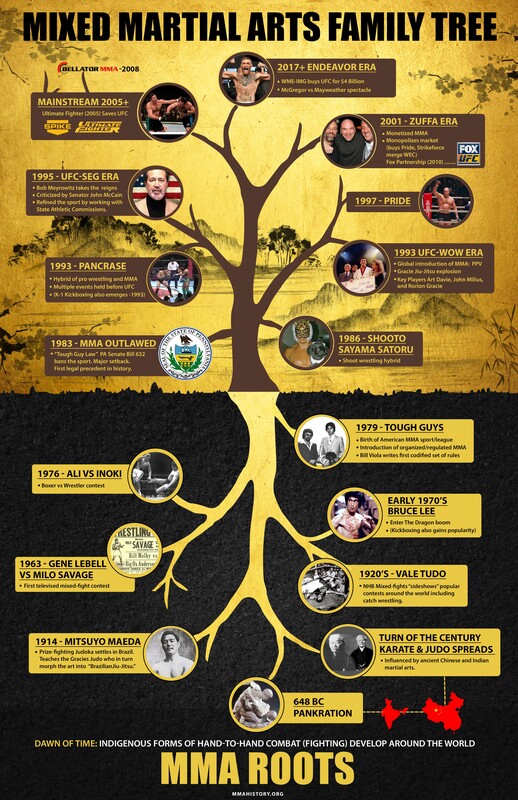 History of MMA: Exploring MMA’s roots and the origin of mixed martial arts. Hand to hand combat has roots in prehistoric times, influencing every culture since the dawn of mankind. Ancient inscriptions reveal that some type of fighting has always existed, seemingly embedded in our DNA. Be it a “fight” or “flight” response from the threat of imminent danger, aggression and survival are basic instincts. Building a better warrior was and continues to be a natural progression (self-defense against oppression and/or predatory warfare). Fighting lies at the very core of civilization, a transgression that leads to the inevitable: WAR. Some of the earliest literary works depict human conflict; a the thirst for power quenched only by violence. The Iliad conjures images of the mighty Achilles and his wrath during the Trojan War while the Bible chronicles epic battles of good versus evil throughout the scriptures. Wars of expansion, wars of defense or Holy wars all share one thing in common: a will to win. Sun Tsu said it best, “If fighting is sure to result in victory, then you must fight.” His vivid narrative of military tactics became a definitive lesson in strategy, the Art of War. Martial arts or the “Arts of Mars” in Latin is derived from the Roman god of war. Its military connotation, “kill or be killed,” is a philosophy that resonates among thousands of armed and unarmed methods of self-defense; many steeped in tradition and influenced by cultural, religious, or ethnic backgrounds. Today, “martial art” has become a catch-all, almost generic term that universally and collectively describes combat systems from around the world dating back to antiquity. What is and what isn’t technically a martial art is truly a subjective topic, a debate reserved for another day. The origins of martial arts in general are shrouded in mystery and legend, more often than not based on hyperbole, stories passed down from generation to generation. Entwined deep within Greek mythology, Pankration (literally meaning “all powers”) was introduced to the Ancient Olympic Games in 648 B.C., a challenge said to have been created in the spirit of Heracles and Theseus. 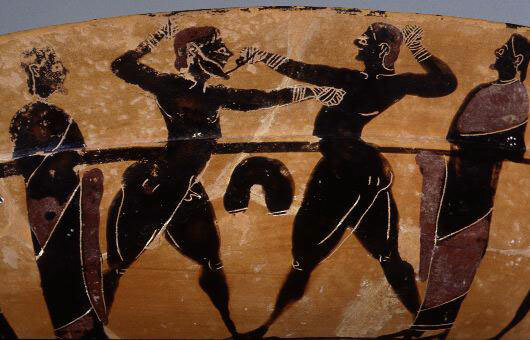 Scholars regard this hybrid of Hellenic wrestling and boxing to be one of the earliest versions of mixed martial arts. These primal competitions garnered national fanfare while imposing very few rules; death unfortunately was considered an occupational hazard. Many experts credit the conquests of Alexander the Great as a pervasive influence on primitive Martial Arts. His army inadvertently spread the fundamentals of Pankration throughout the world, including India. Popular folklore glorifies an Indian Monk named Bodhidharma, a journeyman who traveled to China establishing Zen Buddhism in the 6th Century A.D. Many believe the training regimen he taught the Shaolin Monks later spread and impacted the development of traditional martial arts around the world. Sensei is probably the most recognizable term in all of martial arts. The Japanese to English translation literally means, “Person born before another,” simply said one with experience; a teacher. The arts themselves have followed a similar path, advancing slowly over time, individually influenced by those who came before; soldiers, warriors, students, masters and visionaries. Millennia later we see the fruits of their labor; an offspring of countless forms of combat (karate, kung fu, muay thai, etc.). Regardless of what styles or theories you embrace, mixed martial arts is obviously not the handiwork of one person, group, or culture; it has evolved over thousands of years and continues to evolve today. In a universe driven by constant change, there remains an unwavering admiration for the great warriors of the past and present. The public’s obsession with barbaric “life or death” contests reminiscent of the Roman Gladiators affirms an innate human fascination with combative sports, especially as entertainment. While the violent spectacles of the Coliseum are no longer apropos, contemporary mixed martial arts champions are idolized by millions of fans. To the victor go the spoils: glory—power—respect. It’s a theme ever-present in world of combat. Although prizefighting is one of the world’s oldest professions, the regulated “sport” of MMA is a modern phenomenon born in America. Indigenous forms of martial arts were prevalent in pre-colonial times among Native American tribes, while later immigrants indirectly spread fighting arts unique to their respective cultures. Since the establishment of the New World, our forefathers have experimented with various forms of grappling, a favorite pastime that even included President George Washington (a student of collar-and-elbow wrestling). As trade increased between the United States, China and Japan, so did a presence of the Asian fighting philosophies. A major contributor to the cross-cultural mesh was the establishment of Central Pacific Railroad during the 1860s and the subsequent employment of thousands of Chinese immigrants, some of whom had exposure to various forms of wushu and kung fu/gung fu. Teaching these martial arts was strictly forbidden to outsiders; a practice restricted within ethnic boundaries. It is impossible to know who first broke the “rules” and shared elements of these martial arts with the natives, but it was inevitable. These foreigners joined the American frontier amidst a dangerous turf war where “playing Cowboys and Indians” was a very real and deadly game. It was every man for himself where gun fights, knife fights, and of course fist fights were a way of life. America has had a storied romance with traditional Japanese Martial Arts dating from the late 19th century. 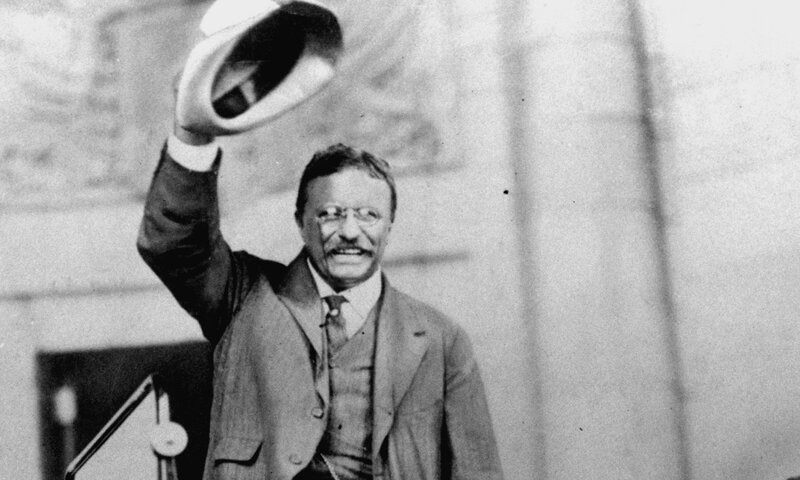 President Theodore Roosevelt became the nation’s most famous practitioner when he avidly studied judo and ju-jitsu while in office (a dojo was set up in the White House). Roosevelt once said, “Do not get into a fight if you can possibly avoid it, but never hit soft. Don’t ever hit a man unless you must, but if you hit him, put him to sleep,” Fitting words for a martial artist who also happened to be the leader of the free world. The Commander-in-chief wasn’t the only person enamored with martial arts; the mystique of oriental fighting systems influenced many affluent people of the era. In 1879 one of Roosevelt’s predecessors, former President Ulysses S. Grant, was also privy to a jujutsu presentation while on a visit to Japan. Professor Jigoro Kano, the founder of Judo, was part of the historic demonstration. Incidentally, Kano would befriend Gichin Funakoshi, the Father of Modern Karate and creator of Shotokan. The collaboration of karate’s explosive striking and Judo’s crafty submissions undoubtedly set the stage for what mixed martial arts could be in the future. Kano sent his top students abroad to spread his art to the world. Even at this time, many styles began to blend and the line between judo and jujutsu was blurred. 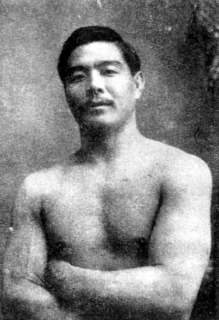 In 1904, one his most talented pupils Mitsuyo Maeda (aka “Conde Koma” Count Combat) arrived in America to showcase “the gentle way.” Maeda continued to travel and challenge fighters around the world before settling in Brazil circa 1914, a precursor to the creation of Brazilian Jiu-jitsu. (Famous Mitsuyo Maeda Brazilian Jiu-Jitsu lineage comprises: Mitsuyo Maeda → Carlos Gracie → Helio Gracie and Mitsuyo Maeda → Luis França → Oswaldo Fadda). At the turn of the century mixed-fights were a popular attraction at festivals and circuses; the common thread was “boxer vs. wrestler.” One of America’s most famous tales dates back to 1887, a reported match between Heavyweight Boxing Champion John L. Sullivan and his trainer William Muldoon, a renowned Greco-Roman Wrestling Champion. Muldoon wore many hats, even playing on Broadway as the Fighting Gaul in Spartacus, a fitting character for a quasi-mixed martial artist. For the next one-hundred years, mixed-fights would rumble along; some legitimate, others “worked,” à la pro wrestling. The term no-holds-barred (NHB), essentially no wrestling holds banned, became popular lingo with the advent of “catch” wrestling. Lancashire Catch-as-Catch-can wrestling contests were frequent throughout England and gained prominence at traveling carnivals across Europe and the United States. Catch wrestling was an amalgamation of all the popular grappling arts of the times, encompassing regional styles from around the world (Greco-Roman wrestling, Indian Pelhlwani etc.) while incorporating submissions known as “hooks.” The contests eventually evolved into a professional wrestling format and with it a new megastar was born: Frank Gotch. The Iowa-born farm boy became an American hero and one of the most celebrated athletes of all-time. Pro-wrestling and its new champion were a top box-office draw and true competitor to boxing. Although wrestling spread across the country, boxing maintained a stronghold on the public’s interest so much so that the government seized the opportunity to regulate the potential “cash cow.” In 1920, the House of Representatives passed the Walker Law, which reinstituted legal professional boxing in New York, but more important, it established a State Athletic Commission. Boxing would now forever be a sport protected by Big Brother. None other than William Muldoon would serve as the first chairman of the New York State Athletic Commission. 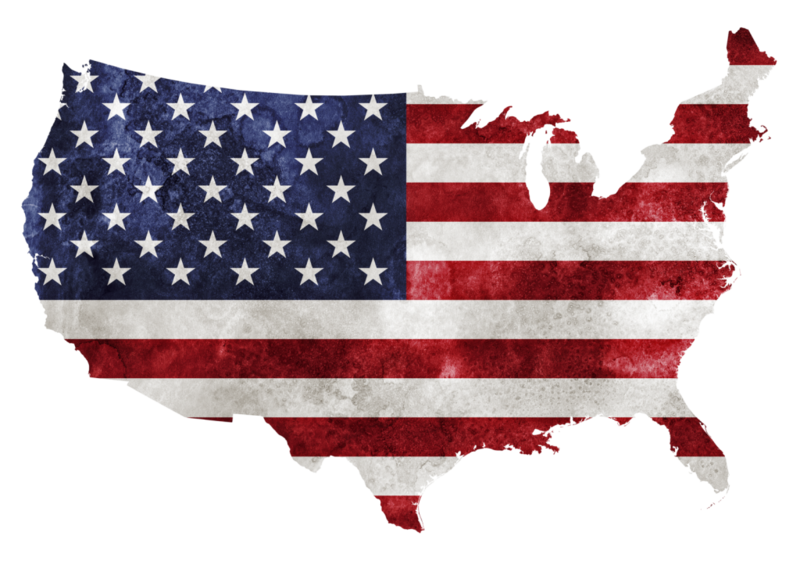 Pennsylvania would follow suit, establishing its own commission in 1923. Both commissions would go on to regulate and tax pro-wrestling as well, monitoring boxing’s rival. In the early 20th century karate was part of a secret society, discreetly practiced within in the confines of ethnic groups. Traces of Okinawan karate were allegedly present in the territory of Hawaii as early as the late 1800s, although its practice didn’t gain prominence there until the 1930s. (Hawaii didn’t become an official state until 1959, an important point of contention when discussing the history of karate in the “United States”) By the late 1940s, an early “mixture” of the martial arts was established on the Island of Oahu in the form of Kajukenbo; an eclectic streetwise system created by various experts in direct response to the rise of violent criminals in the community. The alliance was a forerunner to modern MMA: KA (derived from Korean karate) JU (from judo and jujitsu) KEN (from Kenpo) BO (from Chinese boxing/kung fu). Meanwhile on the mainland, Michael DePasquale, Sr. had already begun his illustrious career as a combat specialist, one that is synonymous with American JuJutsu. DePasquale, a protégé of Juni Saito, emphasized the “raw” effectiveness of JuJutsu and shared his knowledge among the top brass in law enforcement. It wasn’t until the end of World War II that karate really made its mark on American society. The war changed the landscape of martial arts in The United States forever, inadvertently introducing multiple styles of karate to U. S. servicemen overseas. As troops returned home, many of them shared this new and exciting form of combat with friends and family. There is no way to determine who began teaching karate initially as scores of makeshift basement and garage-type training facilities were set up across the nation, but the first documented karate dojo in the continental United States was opened in 1946 by Robert Trias in Phoenix, Arizona. At this time martial arts were already gaining a foothold in the entertainment industry as James Cagney studied Judo for his fight scenes in 1945 motion picture, Blood on the Sun. Cagney insisted own doing his own stunts, rumored to continue training and even earning a black belt. Throughout the 1950s, many famous karateka began to teach a variety of styles including ground breaking figures such as: Ed Parker (Kenpo), Bill Dometrich (Chitō-ryū), Cecil Patterson (Wadō-ryū), Don Nagle (Isshin-ryū), Peter Urban (Gōjū-ryu), and Gordon Doversola (Okinawa-te) are just a few. The southern California based Doversola served as a technical advisor for the fight scenes in The Manchurian Candidate, a film starring a “karate chopping” Frank Sinatra. The movie is regarded by many as the earliest piece of American cinema that depicts a choreographed “karate” fight. 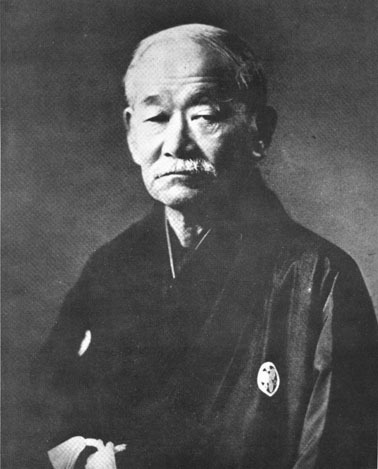 Gichin Funakoshi, now in his eighties sent some of his finest students (including Masatoshi Nakayama, Hidetaka Nishiyama and Tsutomu Ohshima) to spread Shotokan to America. The Karate boom had arrived, and the country was infatuated. Korean styles would follow suit and flourish under the guidance of pioneers such as Jhoon Rhee, known as the father of American Tae Kwon Do. His innovative open-fingered safety equipment would later prove to be a valuable asset to early mixed martial artists. The stage was set, and America was poised for a new spin on an ancient script. A profound fundamental difference exists between mixed martial arts theory and the regulated “open” sport of MMA. The development of commercial mainstream MMA as an organized and structured “sport” in the United States of America, began March 20, 1980 outside Pittsburgh, Pennsylvania. 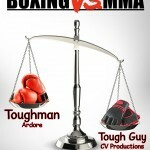 CV Productions Inc. launched the first MMA league in American history with the establishment of the Tough Guy Contest (Later rebranded Super Fighters). 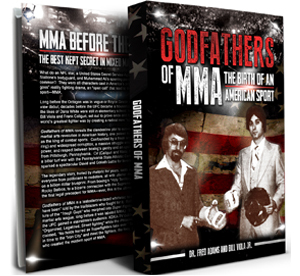 Read More about the history of MMA.